I hope everyone’s been having a good first month of 2018. I’ve been working quite a lot, and I’m happy to announce two new patterns up on Ravelry! 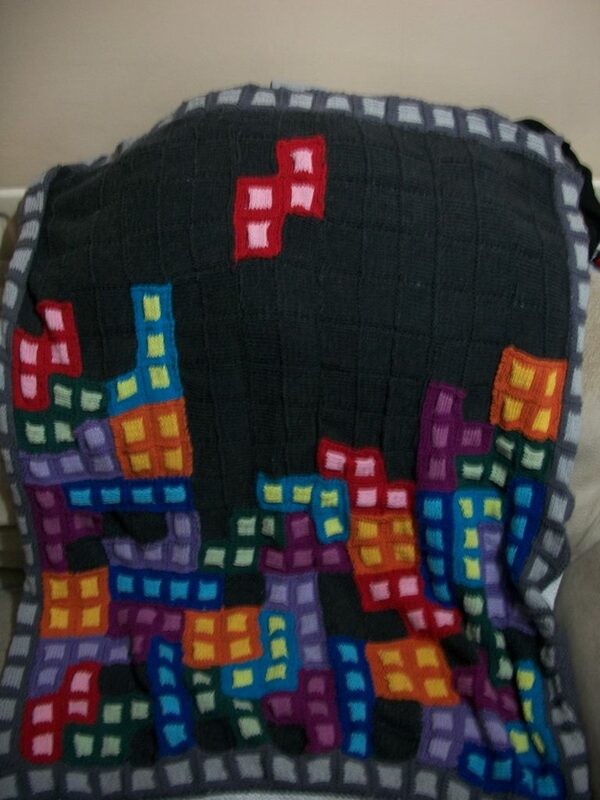 The first is $5 + tax, and it’s the Tetris Lap Blanket (For the Gamer in Your Life) that Silver and I worked on for over two years! The second is another free fingerless mitts pattern – Lacy Thorns and Roses Mitts. These are free on Ravelry. 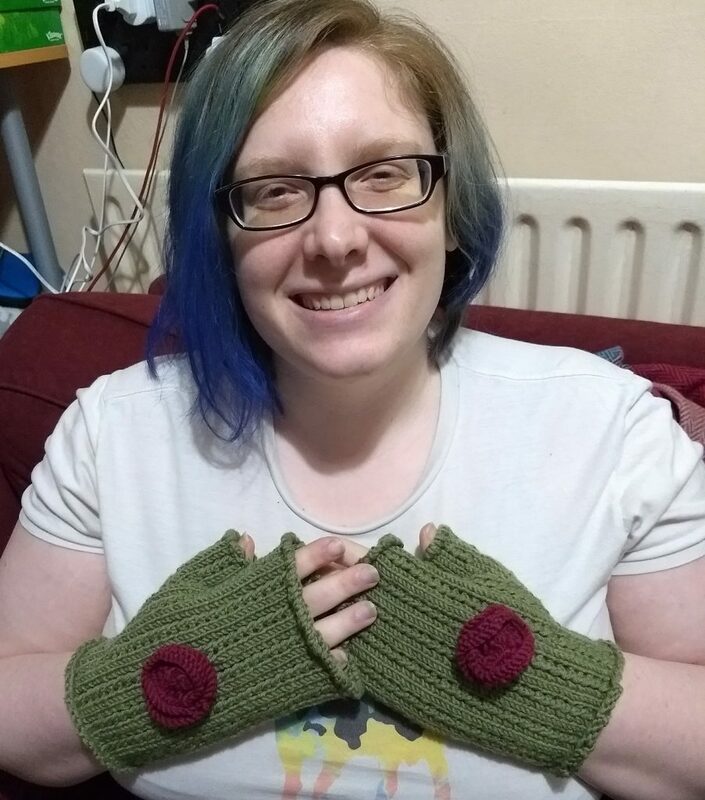 Me wearing the Lacy Thorns and Roses Mitts, January 2018. Previous PostPrevious Revitalised and ready for action! Next PostNext A new pattern is coming!